With the aid of customizable geomarketing software, retail businesses can perform demanding analyses. The success of locations can thereby be assured over the long term, as the example of INTERSPORT shows. The world’s largest dealer network has relied on WIGeoGIS’s geomarketing software in Germany for several years already. The sporting goods retail industry is currently confronted with several challenges. On the one hand, online retailers are increasingly crowding the sporting goods market and are significantly increasing pricing pressure. On the other hand, competitors and in part also pricing pressure are increasing over the stationary area. Dealers that normally do not sell sporting goods in their range of products are offering inexpensive goods through special sales. Moreover, brand manufacturers distribute their own goods in designer outlets or attract customers to their own label stores. In addition to increasing competition, the sporting goods retail sector above all feels the increasing cost pressure for store space. The sporting goods network INTERSPORT also notices precisely these developments. “In addition to competitive pressure, another current challenge is that rent and running costs are increasing. The running costs are meanwhile so high that they could be considered their own rent,” Carsten Mainz of INTERSPORT thus estimates the current situation in the commercial real estate market. Carsten Mainz must know. He is the head of location development for INTERSPORT Germany. In this role he supervises, together with eleven employees, more than 1400 INTERSPORT specialty stores in location planning and location development. 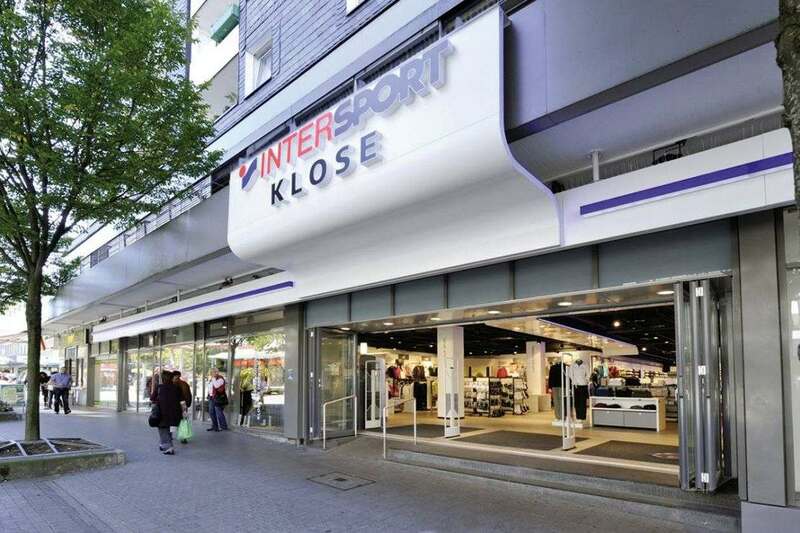 “INTERSPORT stores are traditionally located in city centers due to the network structure. Under the current conditions, it is becoming more and more difficult for a sporting goods dealer such as INTERSPORT to find commercially profitable spaces in good areas at acceptable conditions. The significance of complex location analyses is therefore growing. You have to deal very intensively with locations and the long-term commercial viability of locations,” Carsten Mainz said. WIGeoGIS has applied the gravitational model for many years and supports customers and partners in implementing this methodology for location evaluations. Gravitational analysis takes factors such as purchasing power, household structure and a company’s proprietary customer data into consideration, in addition to distance. Moreover, attractiveness factors enter into the calculations: “Defining these is a challenge, since what makes one location attractive might not count for another. For example, size and the design of the sales floor, the portfolio and the parking space situation can be attractiveness factors, but they don’t necessarily have to be,” as Wolf Graf knows from many customer projects. INTERSPORT also works with attractiveness factors. “Which ones these are exactly remains of course a trade secret,” Carsten Mainz said with the wink of an eye. Companies have high demands nowadays. With standard software, they therefore quickly hit the boundary of what is possible. Flexible geomarketing applications can fulfill these demands, however. INTERSPORT therefore decided on customizable geomarketing software. Requirements such as those INTERSPORT makes are something Wolf Graf knows. He also knows that the demand for custom-tailored geomarking solutions is increasing. “Our customers nowadays want to use their geomarketing software collaboratively with increasing frequency. This means that the same system should be employed in various areas, not only in location or expansion planning, but also for sales and distribution planning, target market analysis, advertising distribution and in controlling, for example,” Wolf Graf reports. Web-based geomarketing systems are especially well-suited for collaborative use. Yet customer requests go further still. Currently, mobile applications are entering the spotlight more and more.